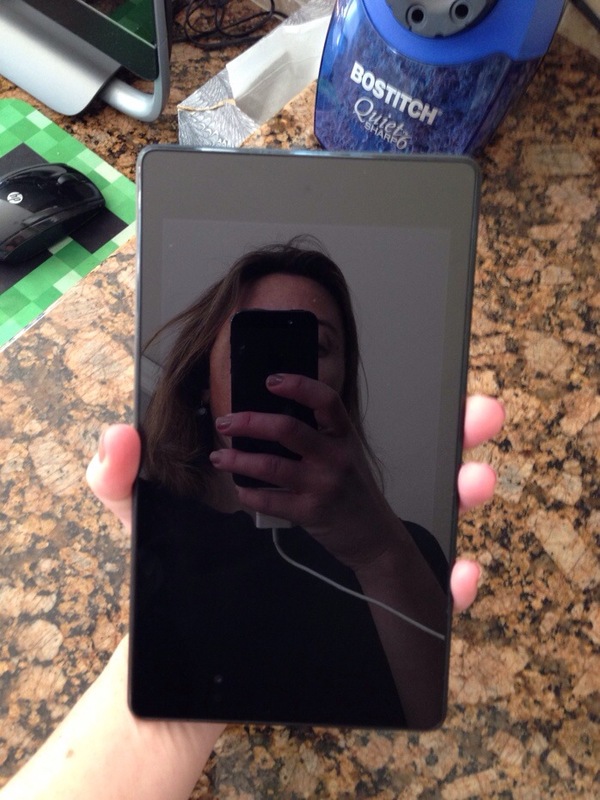 A fun one I’ve been testing out lately is this Google Nexus 7 from Staples ($229.00 with free shipping). 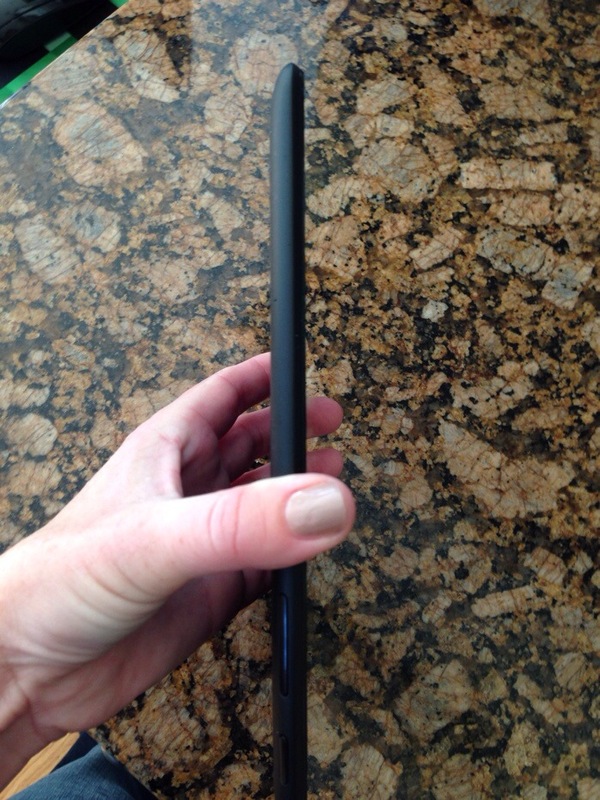 It’s a smaller tablet – the display is a 7″ but I actually kinda dig the small size of it. Don’t get me wrong, I do love my iPad but I’ve come to appreciate having the Google Nexus too BECAUSE of the size. Not only is it smaller but it’s much thinner and it tucks into my purse easily. It’s not that much bigger than my wallet and it’s certainly lighter! It connects to the Google Play Store so you get all of your apps and games that way. I had done this eons ago with my Motorola Xoom so I was already all set with an account making it easy to get connected and started! -It’s quick! Everything seems fast and loads quickly. -16GB of storage so you hopefully aren’t going to run out of space! Staples offers free shipping on this item and you also get back 5% of your purchase if you’re a Reward Member. Also right now they are offering a $10 gift card to Staples.com with purchase! And here’s side-by-sides with my iPad 2. 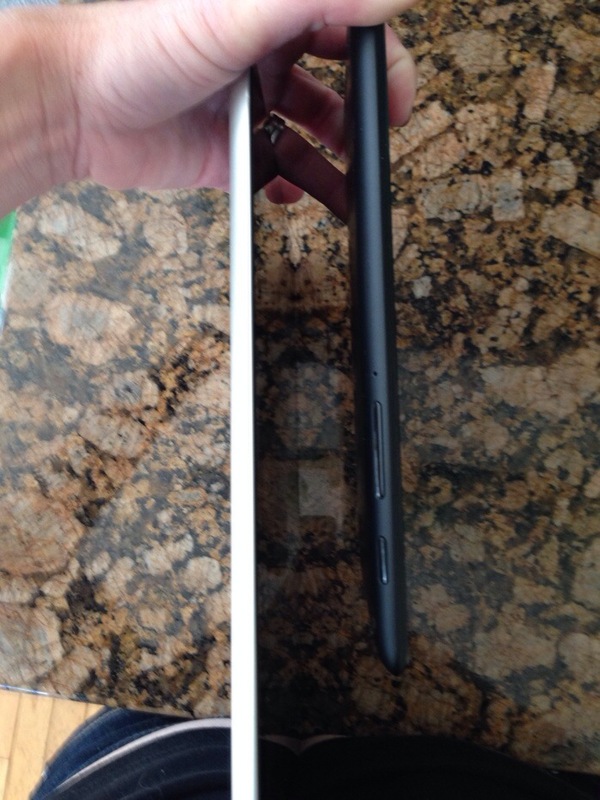 I guess the Nexxus isn’t that much thinner than the iPad (it is, slightly) but it’s really more the weight of it too. That metal/silver on the iPad is definitely heavy and the Nexxus seems to be made out of something lighter weight. 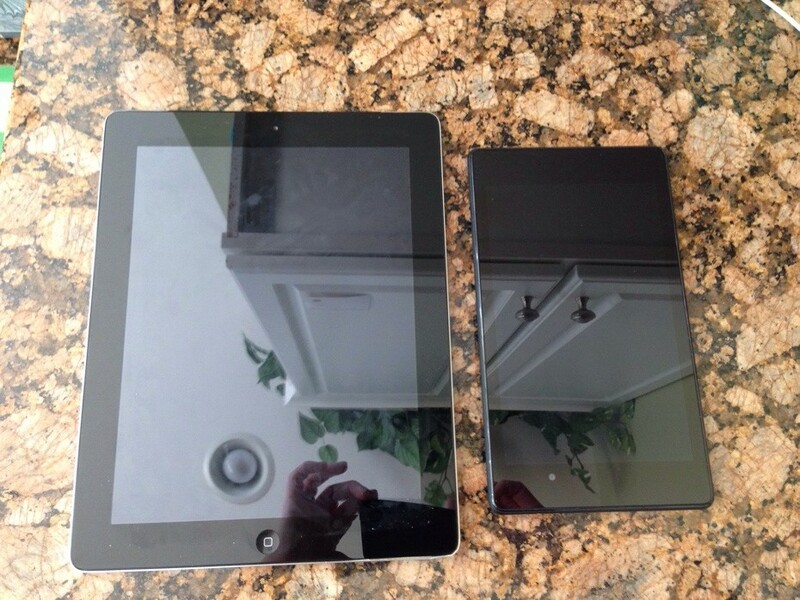 Lastly, here’s a side by side photo of the Google Nexxus 7 next to an iPad 2. 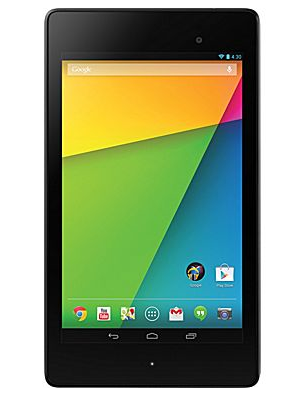 Get the Google Nexus 7 at Staples for $229.00 with free shipping. Disclamier: Staples sent me a sample Google Nexxus 7 to facilitate this review. As always, all thoughts and opinions are my own.